Reducing packaging cuts the manufacturer costs and food waste. In Part 2 of Ferret's investigation, we look at the ten ways in which manufacturers can reduce food waste through smarter packaging. Distribution packaging that provides better protection and shelf life for fresh produce as it moves from the farm to the processor, wholesaler or retailer. This may require the development of tailored solutions for individual products. Distribution packaging that supports recovery of surplus and unsaleable fresh produce from farms and redirects it to food rescue organisations. Improved design of secondary packaging to ensure that it is fit-for-purpose, i.e. that it adequately protects food products as they move through the supply chain. Packaging developers need to understand the distribution process and where and why waste occurs. A continuing shift to pre-packed and processed foods to extend the shelf life of food products and reduce waste in distribution and at the point of consumption (the home or food services provider). The packaging itself also needs to be recoverable to minimise overall environmental impacts. 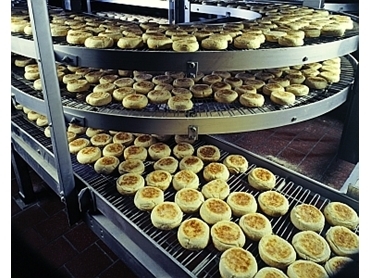 Adoption of new packaging materials and technologies, such as modified atmosphere packaging and oxygen scavengers, to extend the shelf life of foods. Education of manufacturers, retailers and consumers about the meaning of use-by and best-before date marks on primary packaging to ensure that these are used appropriately. Confusion about date marking results in food being thrown away when it is still safe to eat. Product and packaging development to cater for changing consumption patterns and smaller households. Single and smaller serve products will reduce waste by meeting the needs of single and two person households. Collaboration between manufacturers and retailers to improve the industry’s understanding of food waste in the supply chain. Greater attention to be given to where and why this occurs, tracking over time, will reduce the costs and environmental impacts of waste. More synchronised supply chains that use intelligent packaging and data sharing to reduce excess or out-of-date stock. Increased use of retail ready packaging to reduce double handling and damage and improve stock turnover, while ensuring that it is designed for effective product protection and recoverability (reuse or recycling) at end of life. At the study's release, president of CHEP Australia and NZ, Phillip Austin, said he's pleased to be part of the ongoing conversation on managing Australia's food waste and believes CHEP is a suitable partner for such research. "Our business model is an inherently sustainable one," Austin said, adding that CHEP's pallet, container and crate pooling services enable common-use, prevent one-way packaging and minimise resources. Last year, CHEP reduced its absolute carbon dioxide emissions by three percent on the previous year, despite 2012 being a year of growth for the business, and moving forward, Austin says food packaging will be a big focus for all members of the food manufacturing supply chain. "We understand that we form part of our customers' supply chain," he said. "We want to try to explore what we can do in regards to packaging to help make a difference."